Dr. Krupp is a graduate of the UCLA School of Dentistry. He received his post graduate degree along with his Master of Science degree in Endodontics from Marquette University. He has been at the same location serving the greater San Jose area in Endodontics for over 30 years. Dr. Krupp's emphasis on patient comfort, as well as keeping up-to-date with the latest advancements in Endodontic techniques, enable him, to provide you with the best quality of care in the field of Endodontics. He has a wide range of experience in different areas of Endodontics, from root canal treatments to microsurgery. Dr. Krupp's personal interests include staying active through exercise, surfing, ice skating, and yoga. Other hobbies include gardening, acoustic guitar, and reading. Dr. Krupp also enjoys spending time with his wonderful wife and two incredible sons. Dr. V is coming to us most recently from Seattle,WA where she completed her Certificate in Endodontics and M.S. degrees. She graduated from the Arthur A. Dugoni University of the Pacific School of Dentistry in 2016 with high honors distinction, being inducted into Omicron Kappa Upsilon and Phi Kappa Beta honors societies as well as serving as co-president of the Tau Kappa Omega honors society. Growing up originally in the Bay Area, Dr. V attended Notre Dame High School in downtown San Jose. She then continued onto Santa Clara University where she attained her B.S. in Biology. 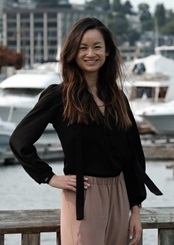 She is thrilled to be able to return to the Bay Area to practice endodontics. In her free time Dr. V enjoys traveling the world, trying new things, recently picking up snowboarding and golf as hobbies, binge-watching TV series, staying active in an attempt to offset the fine dining she is keen to indulge in, and romping around town with her new golden retriever puppy, Murphy.